Amazon sells over 353 million products to its 310 million active users. These users typically receive their items through either fast or instant delivery. The “Amazon effect” has created a culture of people who no longer expect things to come within three to five business days. Delivery should be as close to instantaneous as possible for the customer to be truly satisfied. In fact, 43% of customers expect companies to deliver more quickly in 2018 than they have in the past. However this phenomenon is not only affecting customer satisfaction, but it also has an influence on their purchasing decisions. Keep reading to learn more about how delivery preferences can affect sales. There is no doubt about it, Amazon has changed the shipping industry forever. From customer expectations to the country’s delivery truck population, “the Amazon effect” can be felt all over the world of deliveries. One of the largest effects was the types of orders people are getting shipped to them. What was once predictable has become uncertain. People order sets of items that are completely unrelated, changing how shipping companies have to think about deliveries. They also increased how many delivery trucks are out on our roads. Trucking already made up a large percentage of deliveries, but that has grown exponentially thanks to Amazon. Then, of course, there is the potential future of drone deliveries. These are still a ways off, but they are proof that the Amazon effect will continue to influence our lives for a long time. 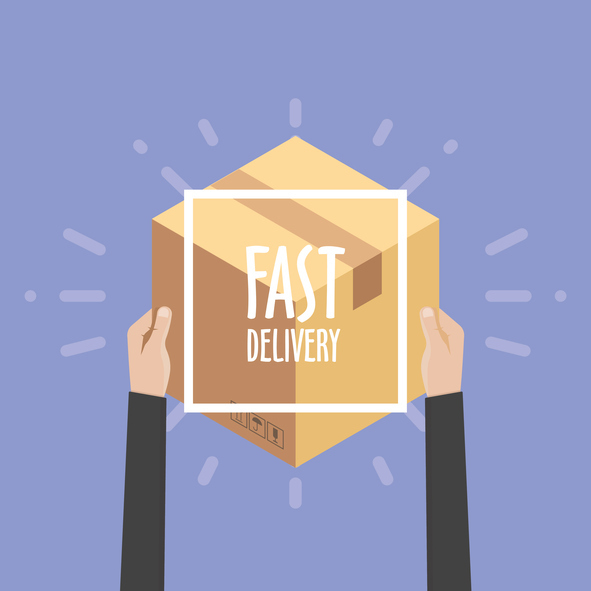 If your business starts to utilize fast delivery systems, you will be far more likely to take advantage of impulse buying from your customers. If a customer can get a product now, they are far more likely to go ahead and purchase it than to wait. If they’ll have to wait on receiving the package, they will more than likely wait on purchasing the product. Take food items for example. If a customer is craving one of the food products that you sell, they will want to get that product as soon as possible. If they have to wait to get it, they will probably tell their stomach to wait too, and then you just lost an impulse purchase. Toys and luxury items work the same way. If a person has a strong desire for an item and they have the possibility of receiving that item that day or the next, they will often give in to their desires and purchase the product. 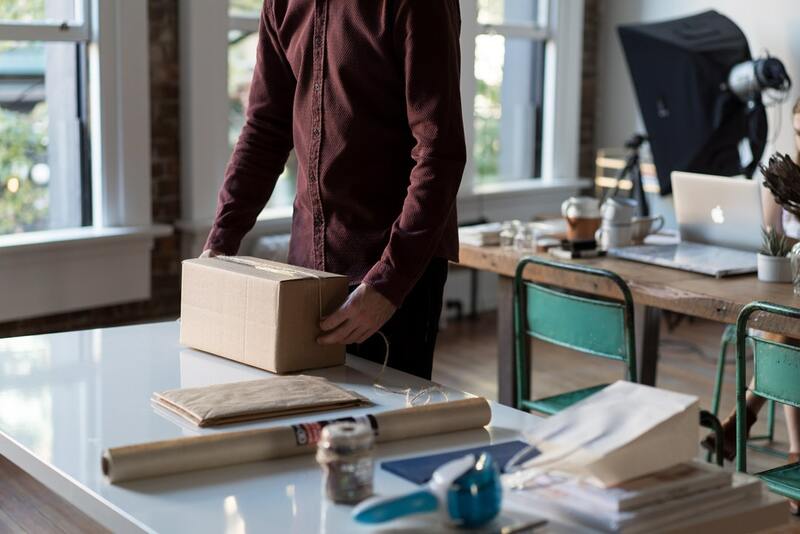 Without instant delivery, you may risk not getting to reap the benefits of these impulse purchases. How often have you made a large purchase, and then second-guessed yourself and canceled the order before it shipped? This practice is actually quite common if there is enough time between placing an order and delivery. 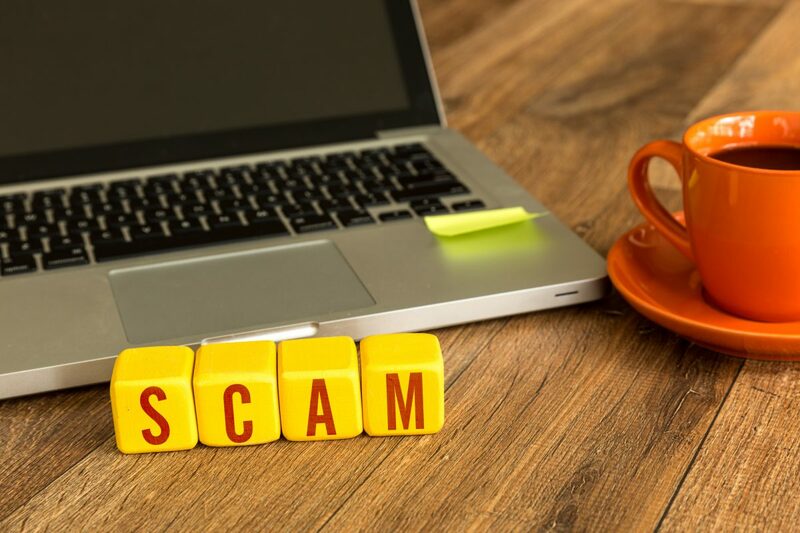 This is unfortunately bad for sales, but there are ways to avoid this risk. 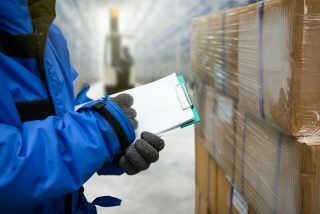 If a customer orders something with the standard shipping rate of three to five business days, they may actually get cold feet and cancel their order in that particular window of time. With instant delivery, you eliminate much of the risk of cancellation. This is especially helpful to companies who sell more expensive products or who sell a lot of bulk products. These large purchases can cause customers to pause and reconsider if they are given the time to do so. Instant delivery removes that time completely. The sooner you get your product out to your customer, the sooner they will be satisfied, and the less likely they will be to cancel an order. Where Do the Delivery Fees Come In? 96% of customers claim that having the option of free shipping affects their decision of whether or not they will purchase a product. 73% say that this option has a great impact on these types of decisions. Free same-day delivery will eventually become what all customers expect, and it is certainly already what they want. It is not yet necessary to provide this service, but it might be sooner than you think. However, you may be surprised to learn about the benefits of offering free same-day shipping. Cheap or free same-day delivery does more than just catch a few impulse buys, however. Offering these services can actually increase the volume of orders from customers. 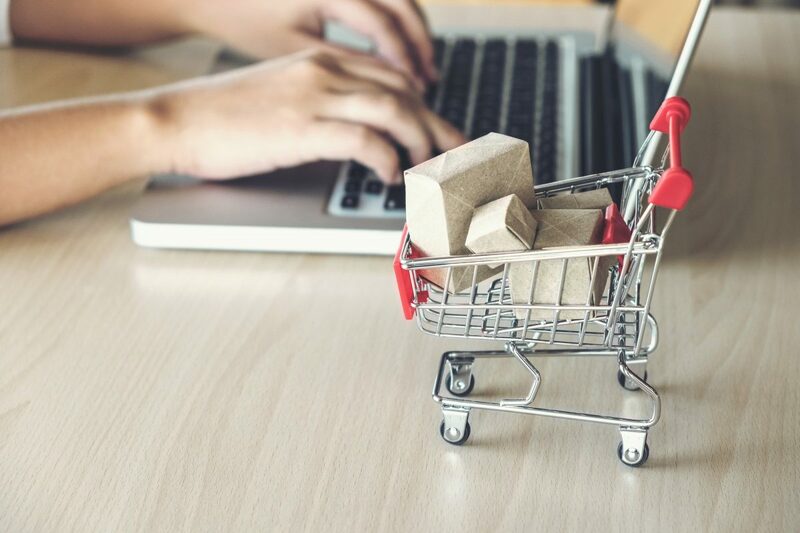 If people know that they can get their products instantly without any additional cost, they will often order as much as they can afford to buy. These services get people excited about having their desired products in their hands quickly, so they go ahead and order more. These order increases may seem like a fantasy, but they have been observed by several companies who dropped their fast delivery rates. Once they added a cheap or free same-day delivery service, their orders increased exponentially. Get Instant Delivery in Connecticut! Instant delivery is the future of delivery services. More and more people will be requesting that your business utilize these services and offer them to customers for low or no cost to them. It’s time to get on board. We hope that this guide to fast delivery systems has been helpful to you. 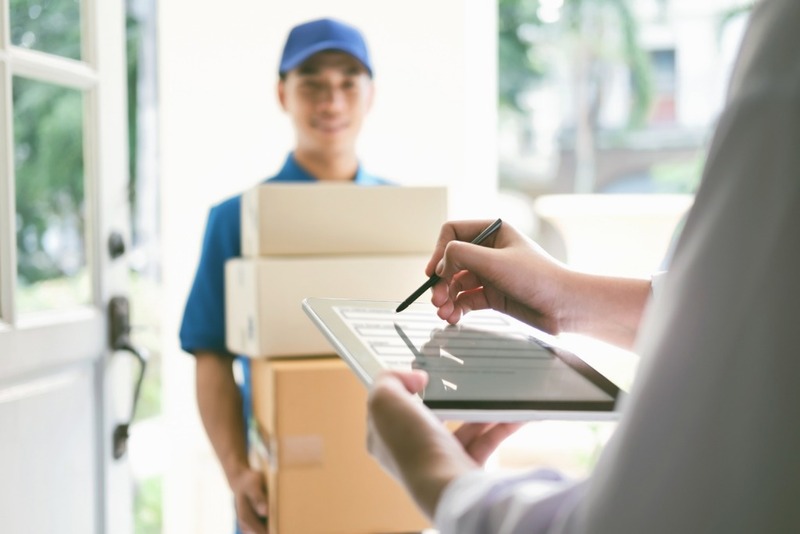 If you’d like to learn more about our instant delivery services in Connecticut and surrounding areas, you can contact us to get a quote for our courier service. When it comes to shipping liquids, careful and secure packing is key. Improperly packed liquids leak, and leaking can ruin your product and damage other items inside your package. What’s the point of shipping something that won’t make it to your customers? Take a look at these five steps that will let you start packing and shipping liquids safely. Though couriers will accept most liquids, there are some liquids that are considered dangerous you will be unable to ship. It’s important to check with your local courier if you have any questions about the safety of a liquid. Many of the liquids couriers don’t accept are substances that contain alcohol. But this doesn’t mean you can’t ship things like beer or wine. These types of beverages are usually accepted. But other liquids like spirits, vape, aftershave, paints, and even perfumes are considered flammable items. Your courier may not ship these items because they could cause a danger to a carrier. 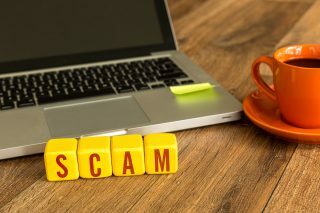 In most cases, it is illegal to send something that could potentially cause harm to a carrier. That means other things like bleach, gasoline, nail polish, and poisonous liquids are out too. Again, it’s important to check with your courier service to find out what liquids are acceptable and which will be turned away. There are a few different ways you can ship liquids, but the most important thing to consider is leaks. A liquid that isn’t packaged properly can cause a lot of damage to other items inside a package. In the worst case scenarios, it can even leak through the package and damage other packages. Besides, what’s the point of shipping an item that will be gone by the time it arrives at its destination? With that in mind, here are a few tips for packaging and shipping liquids safely. A double seal is an extra layer of plastic either around the lid of the bottle or in the shape of a peel-off lid. These double seals should keep the lid secure, and you won’t need any extra packaging around the bottle itself if it comes with a double seal. If your product doesn’t have a double seal, you should wrap a strip of strong tape around the lid area. Making sure the lid won’t pop off during shipping is your first step. Place the bottle containing your liquid inside a waterproof bag. If it sticks out of the bag, you need to find a large waterproof bag. The bottle should be completely sealed inside the waterproof bag. Make sure the waterproof bag is completely closed. This is the best way to prevent leaking. Once inside the second waterproof bag, take the tops of both bags and twist them together. You should then fold the twisted tops down over itself a few times and use a strong rubber band to hold the packaging in place. If you don’t have any rubber bands, you can also use packing tape to keep the bags in place. (Waterproof bags aren’t hard to find. Most places, including grocery stores, usually sell them). Spread a layer of foam peanuts or other packing material on the bottom of the bock. This will protect your product when it’s set on hard surfaces or other boxes. Once there’s a nice layer on the bottom, place your product in the box and fill any leftover space with more foam peanuts. You should also put another layer of packing material on the top of your package. This will give it a layer of protection if other boxes are set on top of it. Tape any seams of your box closed with strong packing tape. This will the lid from opening as it’s handled and shipped. Keep in mind, one layer of tape might not be enough. If you don’t feel like your box is properly secured after a single layer of tape, add a few other layers for good measure. Either using stickers or a permanent marker, make sure you write the words “LIQUID” and “Fragile” on every side of the package. This will let handlers know they must be careful with the box. Shipping perishable liquids should be packaged roughly the same, but because they must be kept cold, there will be a few alterations. When you’re packing a perishable liquid, do everything the same until you’re ready to put your product into the box (sealing it in double waterproof bags). Instead of putting your waterproof bagged liquid directly into your cardboard box, any perishable liquids should go into a styrofoam cooler first. This will insulate the product from the heat and keep it at the temperature it’s supposed to be. Once inside the cooler, surround the liquid with frozen gel packs. This will both keep it cold and keep it from sliding around inside the cooler. Again, make sure there is a layer of foam peanuts or other packing material on the bottom of the box. Then once you put the entire styrofoam cooler in the box, fill the empty space with more foam peanuts. Make sure the cooler is completely secure inside the box so it won’t move around and damage your product. 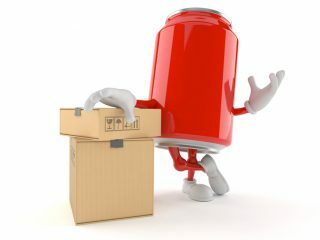 While non-perishable liquids may not need any special type of shipping, you’ll want to get same day or overnight shipping for perishable liquids. This will ensure it doesn’t get too warm during shipment and spoil. Remember, the faster your product reaches its final destination, the lower the risk of damage will be. Before you start shipping liquids, check with your local courier to make sure they’re able to deliver the product safely. And never go easy on the packaging. Because leaking is a risk, you should always seal your liquid in double waterproof bags and make sure it’s secure inside your cardboard box. Shipping your products a little farther than the road can take you? Learn when you should use an air courier service.